The weekend away at the beach was time for “A” and I to wander yet again about our love of food and the desire we have to cook. Years ago I worked in catering and for a short time did catering jobs for friends and family. But it is all so much hard work. 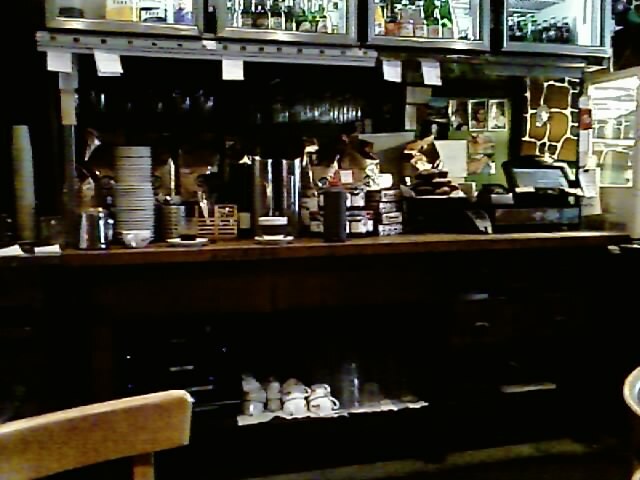 Whenever we visit a food store or providore or fun cafe I get inspired. 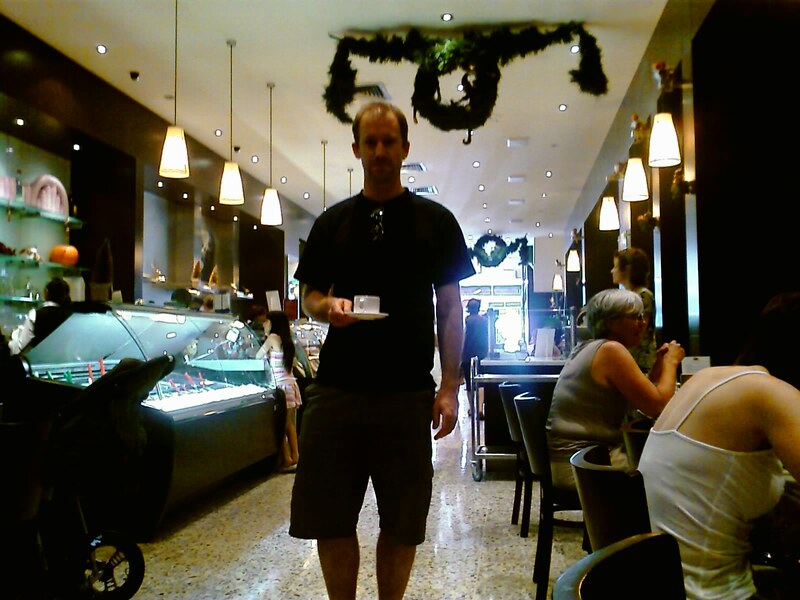 The one of “A” at the top is at Brunetti’s in Carlton. A big favourite from Uni days. The next two images are from Torch in Richmond. 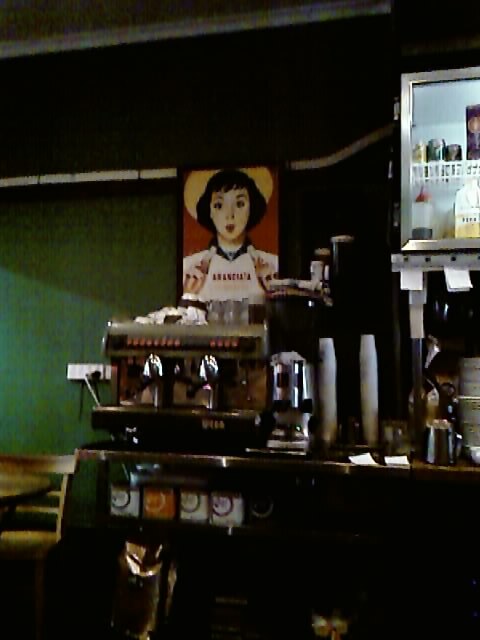 Great coffee and a galley style coffee bar in the middle of seating. It had gorgeous luxe wallpaper which is all in vogue again, thank you Florence Broadhurst. 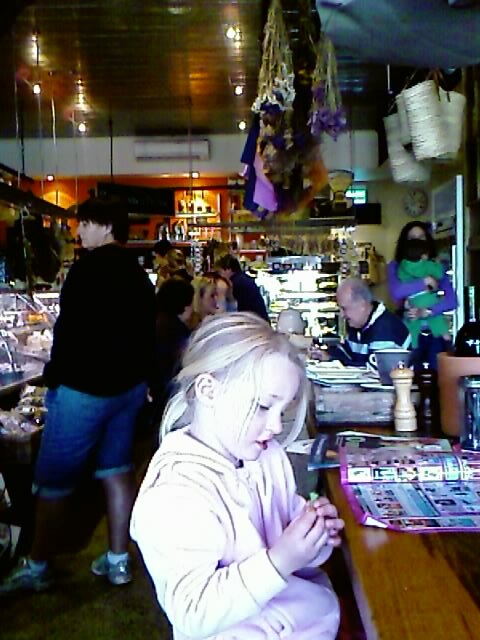 And this one is at a Annie’s Providore at Barwon Heads. It was full of great fresh produce and wooden shelves, huge deli fridges full of cheeses and cured meats and loads of soft woven baskets hanging from overhead. These are all dreams, pipe dreams. “A” and I will continue to entertain at home. I must go…I have minestrone cooking, quinces roasting and a chocolate hazelnut slice setting in the fridge.